Junk King approaches each job understanding that their customers have hectic days. The sooner they get in and get out the sooner those customers can get back to doing what is important to them. Junk King Los Angeles will always move fast. That starts with the booking and ends with the final sweep up. The crews working for Junk King are always at the mercy of Los Angeles traffic. That’s why they want to keep in touch with their customers throughout the day. It’s also why they asked for two-hour window for the pickup. That’s plenty of time to get from one spot to the next. Whenever you hire professional service worker you should feel safe and secure inviting them into your home. It helps when they have a positive attitude. Junk King Los Angeles proves time and again they are worthy of their rave reviews. 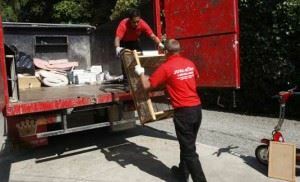 This entry was posted in LA Junk Removal, Los Angeles Junk Removal and tagged junk king, junk removal, reviews on September 30, 2017 by Junk King. Last updated October 1, 2017 .